Looking for Things to do in San Francisco? 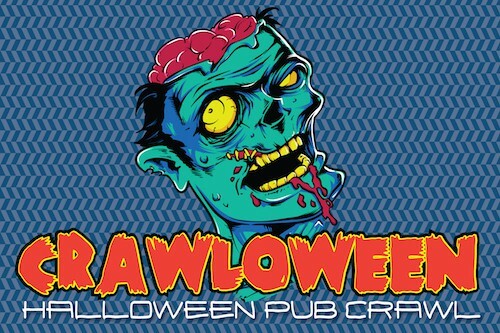 CrawlSF is the best source for upcoming Pub Crawls, Concerts, Comedy Shows, Festivals, Party Bus Rentals, Bar Crawls, Nightclub Events, City Tours and Wine Events, plus San Francisco Halloween Events, Bottlerock Shuttle Bus, New Year’s Eve, Cinco De Mayo Pub Crawls, Cuatro de Mayo Bar Crawl, St. Patrick’s Day and more! Whether you are looking to grab a drink at one of the Best San Francisco Bars or Nightclubs, check out a band or DJ at an awesome Music Venue, go Wine Tasting on a Party Bus to Napa or Sonoma or experience the Best Pub Crawls, we can help you figure out what to do in San Francisco. Looking for something to do? 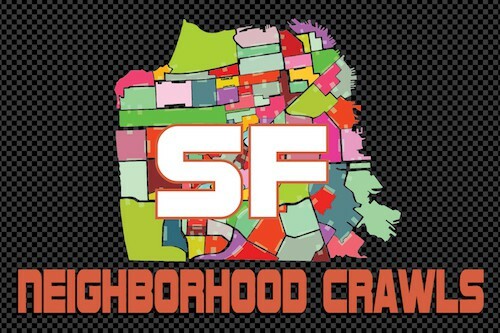 CrawlSF has the best hand-picked events in the Bay Area! Whether you are visiting San Francisco or a local, there are so many events and activities throughout the year that it can be difficult to choose. The CrawlSF Team has handpicked some of the best Concerts, Festivals, Party Buses, City Events and, of course, the best Pub Crawls in SF! Click on the featured events below to find out more information or CLICK HERE to see all Upcoming San Francisco Events. Need some help or recommendations? CLICK HERE to contact us. St. Lucia is back again with a special acoustic tour to accompany their brand new acoustic EP. Here’s your chance to see them at some more intimate venues. Hop on the San Francisco Party Bus for a Round Trip Ride from San Francisco to Levi’s Stadium to see The Rolling Stones: No Filter Tour. The BottleRock Music Festival is back with another amazing lineup for 2019. Get there in style on the M Ride Shuttle Bus. Hop on the bus and enjoy round-trip, VIP Bus Transport to see Dead & Company at Shoreline Amphitheater. Hop on the bus and enjoy round-trip,VIP Bus Transport to see Dead & Company at Shoreline Amphitheater. Whether you live in the San Francisco Bay Area or are just here for a visit, Pub Crawls are a great way to meet new people, check out some different bars, clubs and restaurants and have an fun time with friends. It’s also a great way to celebrate Birthdays, Bachelor Parties, Bachelorette Parties, Holidays and any other special occasion. Since 2003, CrawlSF has planned over 300 Pub Crawls in San Francisco including the North Beach Bar Run, Polk Street Pub Crawl, Mission Pub Crawl, Haight Street Bar Crawl and the Union Street Experience as well as some amazing Holiday Pub Crawls for Halloween, St. Patrick’s Day, New Year’s Eve, Cinco De Mayo and Independence Day. Each event presents a great opportunity to check out some great San Francisco Bars and Restaurants in a variety of different neighborhoods while enjoying amazing drink specials on Beer, Cocktails, Shots and Wine. Since everything seems to be just a little bit more fun when you are wearing a costume, you are always welcome to dress up a bit to the theme (completely optional, of course). Mayes, Lush Lounge, Vertigo, Mcteagues, Blur, Playland, Cabin, Wreck Room, Rusted Mule, Soda Popinskis, Shanghai Kellys, Royal Oak, Rouge, Bullitt, Tonic, House Rules, Blue Light, Brickyard, Bar None, Hollow Cow, The Brixton, Jaxson, Sabrosa, Del Mar, Comet Club, Northstar Cafe, The Boardroom, Tony Nik’s, Columbus Cafe, Gino & Carlo, Savoy Tivoli, Tope, Grant & Green, Tupelo, Gold Cane, Hobson’s Choice, Milk Bar, Skylark, Delirium, Gestalt Haus, Double Dutch and more! San Francisco’s Best St. Patrick’s Day Pub Crawl. More than 5000 Pub crawlers take over the best bars in SF for Cheap Drinks and Holiday fun. 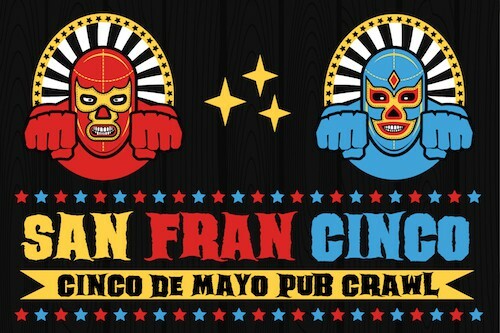 One of the biggest party days of the year, Cinco de Mayo is the perfect day for a Pub Crawl. 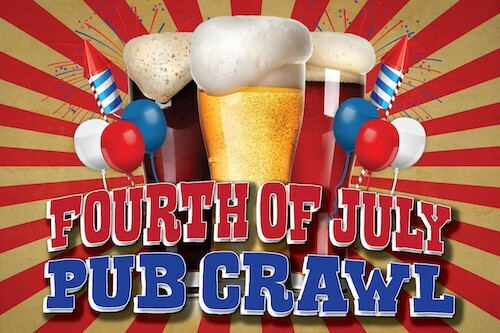 Celebrate Independence Day in San Francisco at the Fourth of July Pub Crawl and Hot Dog Eating Contest. San Francisco’s Biggest Halloween Pub Crawl. 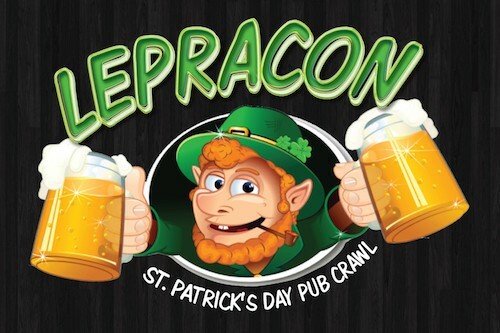 This 3 Day Event has over 20 participating bars with more than 7000 participating pub crawlers. 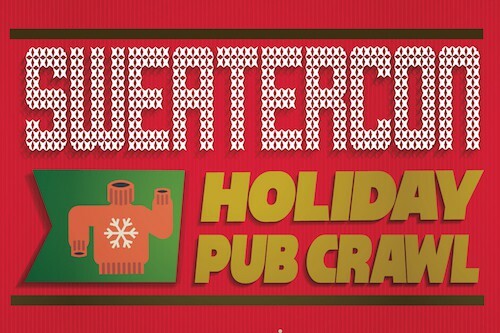 Take the Ugly Sweater party to the next level at Sweatercon, The San Francisco Holiday Pub Crawl. The best way to check out some new spots in San Francisco! Check out the best bars in each neighborhood. 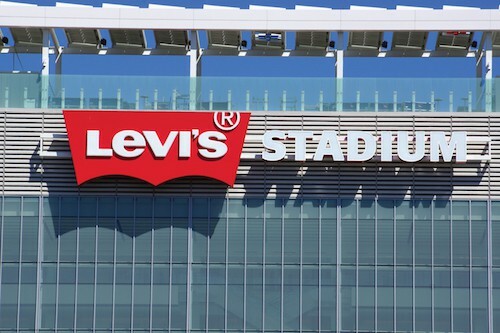 Looking for an easy way to get to Shoreline Amphitheater, Levi’s Stadium or any other Bay Area venues for a Concert, Sporting Event, Music Festival or Special Event? CrawlSF and M Ride can handle all of your transportation needs. We offer a full range of transportation options including Town Cars, Luxury SUVs, Limousines, Sprinters, Party Buses, Minibus and Motorcoaches to handle any size group. Let us help you with your next Napa Wine Tour, Sonoma Winery Tour, Wedding Transportation, Corporate Event, Bachelor/Bachelorette Party, Birthday Party, Brewery Tour, Cannabis Tour or other special event. The Best Way to get to the Game! Grab a seat on the Party Bus to every Niners Home Game. 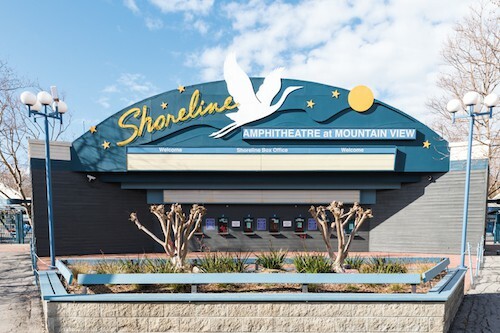 Going to a Concert at Shoreline Amphitheatre? Make things easy and fun on the M Ride Party Bus. 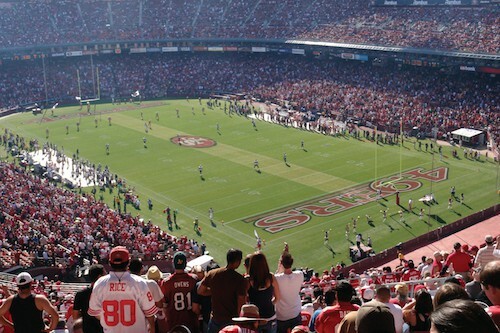 Going to Levi’s Stadium? Get there in style with M Ride! Need a Private Charter for your Group? Book with us!